Osberg Indonesia promises high quality handmade LEATHERGOODS with high standard materials (Genuine Cow Leather) to bring finest leather goods along their lifespan. Our genuine, full-grain, distressed, and brushed leathers create unique variations in color that provide durability, comfort, and a sophisticated look engineered to last. We choose carefully, from the materials we use and the suppliers we select, to the people we hire and the partners we join.We carefully consider an item’s intended use, and we focus on how that can best be served. 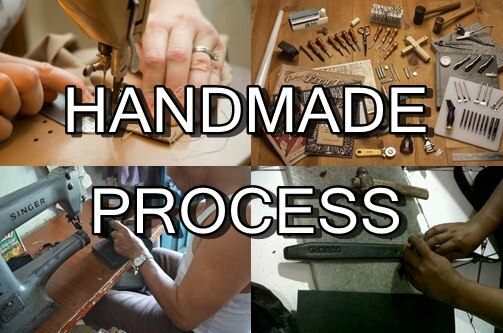 This, to us, is the essence of good design and craft. Our belt is using buckle and leather. Our buckle is using nickle material. Nickel and nickel-base alloys are vitally important to modern industry because of their ability to withstand a wide variety of severe operating conditions involving corrosive environments, high temperatures, high stresses, and combinations of these factors. There are several reasons for these capabilities. Pure nickel is ductile and tough because it possesses a face-centered cube crystal structure up to its melting point. Nickel has good resistance to corrosion in the normal atmosphere, in natural freshwaters and in deaerated nonoxidizing acids, and it has excellent resistance to corrosion by caustic alkalis. We use pull up leather for wallet and belt material. Pull up is a leather with a natural appearance which lightens in colour when stretched during wear to produce a unique worn-in effect with time. Pull-Up leathers come from a remarkable high quality hide; it is completely natural, unaltered and rugged, yet soft and supple to the touch. Pull-Up leathers require little maintenance since the original ruggedness only amplifies. The pull-up effect tends to be more pronounced in areas where the leather is pulled in two different directions, like the front of arm and all corners. The oils and waxes provide even more beautiful shading and unique, subtle color variations. Milled leather is one of our leather belt material. To make milled leather, the leather is during the production put into the milling machine where it is rotated, comparable to a large clothes dryer just with the absence of air and heat. Through the soft falling action the natural fine lines in the leather are intensified. The industry then speaks from "dinstinctive Milled Leather". Milled leather has a good endurance and durability. Milled can resist water, dust and heat. When a project requires pliant leather with veg-tanned qualities, this is the leather to choose. The milling process, which produces the supple feel, also produces a prominent grain that will give your finished items a look of elegance. These double shoulders stamp and dye well. Crazyhorse leather is one of our leather wallet material. Full grain "cowboy" or saddleback leather or crazyhorse is a thick type of pull up leather often used on horse saddles and work boots. It is designed to last in extreme conditions and for protection. Oil is applied under pressure at high temperature to achieve a rugged finish. Our crazy horse leathers are made by applying special purpose waxes to a buffed grain surface. These waxes are melted and migrated under frictional heat. As a result when the leather surface is rubbed the color of the rubbed portion changes, which does not reverse immediately. This exhibits an antique effect. One of the first things I do with any new crazy horse item I make for myself is to bend and fold the piece as much as possible. The oils and colors seem to burst from the hide. Crazy Horse leather is ideal for men who like want a more masculine, rugged looking wallet that holds up well in moist or dry climates. After years of wear, this wallet will have a distressed leather look and become quite flexible, yet maintain its protective nature. 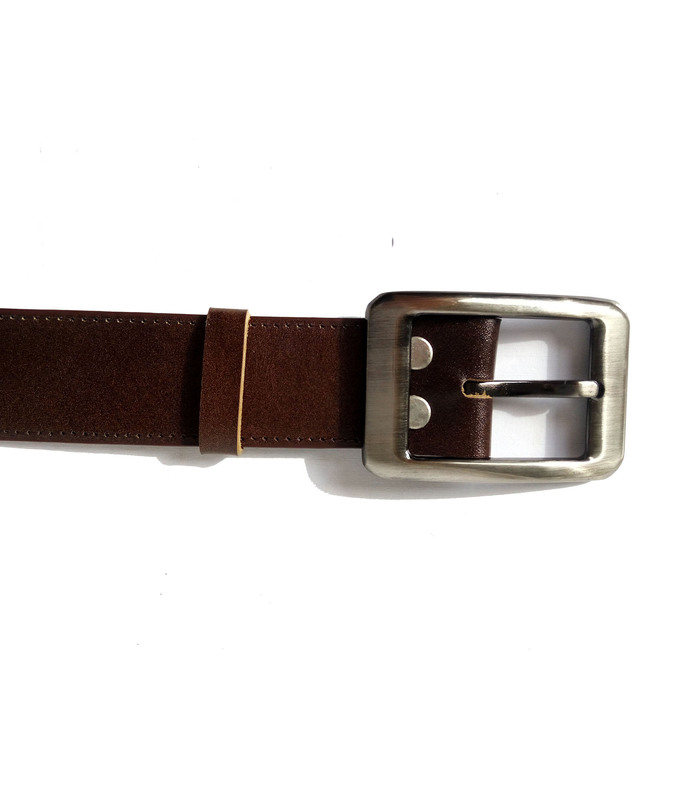 Genuine leather is one of our leather belt material. The surface layer or layer closest to the animal’s hair line is called the top-grain or full-grain layer. The lower layer is called the split layer. In our industry the full-grain leathers are the most desirable. The natural markings are attractive and consequently it is not necessary to correct the leather in any artificial manner. Some hides have more insect bits, or excessive animal scaring in which case it becomes necessary to correct the hide to give it more appeal. 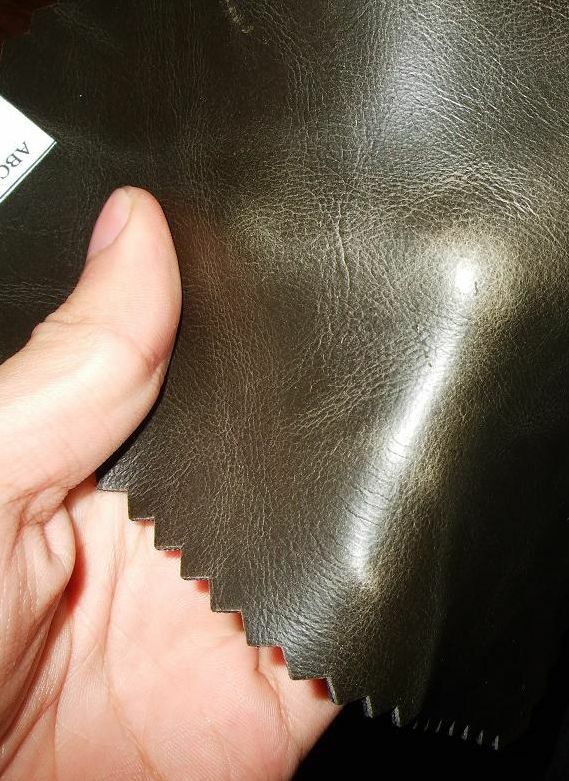 There are many methods in correcting the leather hide. It can be buffed, sanded, plated or embossed with an artificial pattern. Since it needs many methods to correct the hide, genuine leather cost more than other leather. Nubuck leather is material for one of our belt. Nubuck is top-grain cattle that has been sanded or buffed on the grain side, or outside, to give a slight nap of short protein fibers, producing a velvet-like surface. It is resistant to wear, and may be white or coloured. Nubuck is similar to suede. It differs in that suede is created from the inner side of a hide, whereas nubuck is created from the outer side of a hide, giving it more strength and thickness along with a fine grain. It is generally more expensive than suede, and must be coloured or dyed heavily to cover up the sanding and stamping process.